Award winning craftsman Ryuji Iwasaki was born in Osaka in 1980, where he still lives and works in his studio/home, shown below. The contemporary and simple design of the house tells us a lot about his unique point of view for the traditional crafts. He has won more than a dozen crafts awards all over Japan. I’ve always liked to make things since childhood, but not something standard or mass-produced like a plastic model. I’d rather make something without plans or instructions, which I can use to express my vision freely. I believe that is the key to becoming a potter. When you see videos or photos of potters, they are turning the wheel. Some potters don’t like that part so much, but I really enjoy it. It takes me to new places while I create. I think color is the most important element. The color of the ceramic is determined not simply by the type of glaze, but also by the proportion of the mixture, its flow, and firing. You become an alchemist by combining a very complex mix of all these elements and make one nuanced look. Therefore, I will spend the rest of my career searching for the various elements – call it a recipe if you like – on a quest for beautiful combinations of colors. The most exciting moment during the creation process is when I open the kiln. Even if I have a very clear expectation of what I think the image may look like, I never know for sure if it turns out the way I expect. It goes the way I expected sometimes, and fails sometimes. But time to time, it turns out more than I was hoping for, and I fall in love with the exact work I made myself. When I create something, I am always inspired and fascinated by the depth and beauty of Japanese traditional crafts and ceramics. I want the world to know and experience the depth and the charm that I cannot express by the words. It would be great if I can inspire the world through my work. One of our favorite art fairs in New York is back in Pier 94 this year. We saw quite amazing collection of photography and of course, we need to pick a few of great Japanese photographers, and subject matter in Japan. Giving Thanks for the Many Blessings. As promised in our previous blog, continuing with our visit to Kyushu and especially Saga Prefecture and our visit with up and coming porcelain artist Tsukasa Momota. We arrived in Arita, a town famous for ceramics on January 3, right in the midst of the three day New Year Holiday in Japan. This does not mean outdoor festivities. It means most people are at home with family and friends, relaxing, eating great food and maybe having a glass or two of sake, usually from the region. Wherever you are in Japan, you can’t go wrong with the seasonal food and sake. We strolled the streets of the picturesque old Japanese town, and as I wrote previously, it felt like being on a movie set and we were the unwitting, but very interested actors. One Japanese native and one gaijin (me) who has been to Japan many times. We didn’t go into this ignorantly -- we knew most of the town may be closed, but we also knew Arita is famous for a certain type of ceramics - porcelain. And this is porcelain painted in various colors, often blue and likely inspired many centuries ago by artisans from Korea and probably China as well. This particular type of porcelain became known as Arita-yaki. It gained fame when European traders, who were the first to be allowed into Japan, through Nagasaki (the only open port to “Westerners” in the Edo period) brought them back to Europe. So, as we walked the streets, we found a few places open and admired the crafts. As we walked, we happened to look into a storefront window and saw somebody working. He looked up and motioned us in. That was our introduction to Tsukasa Momota, a Fukuoka native who spend several years in northern Florida pursuing his love of surfing. Yup, we just happened to find a local Japanese guy who moved to Florida to study art and fell in love with surfing and antiques. Thus began Tsukasa Momota’s journey into traditional Japanese crafts. 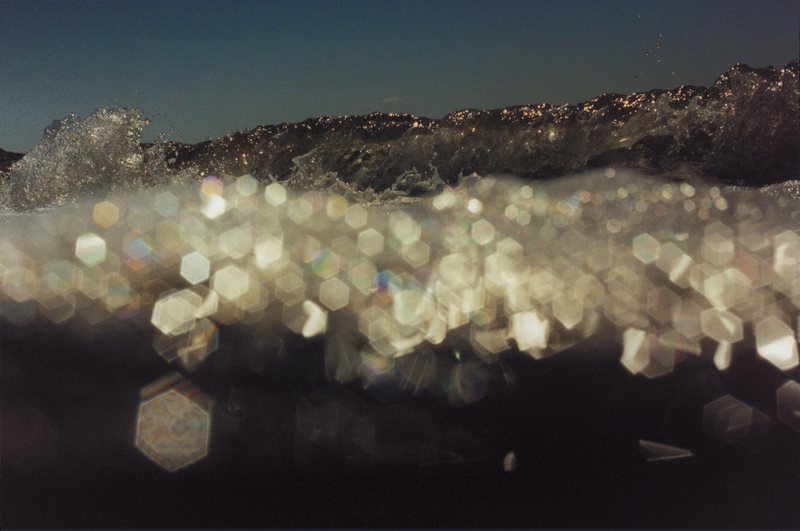 Or, maybe I should say, it evolved as many would argue that surfing is a form of art in itself. We spent a really enjoyable afternoon talking with Momota-san, hearing his story and telling ours, while he showed us his works and served us oshogatsu delicacies with very good regional sake. Arita craftspeople have been making a concerted effort to reinvent Arita-yaki to make it more contemporary and have recently shown here in New York and around the world. Momota-san prefers to take a slightly different approach. His work is more subtle, evolving without losing the beauty and usefulness of the centuries of work that his forbearers created. We are now featuring his works here. Please take a look. A bit late, but we wanted very much to post some belated words and images about our trip to Kyushu to celebrate the New Year Holiday in Japan. A quick, very quick primer: In Japan, New Year is a three day event from Japan 1-3. And, of course there are preparations that go into making all of the foods and festivities associated with Oshogatsu. And pretty much all businesses are closed. Yes, we knew this going in. We took a shinkansen to Fukuoka and spent two days and nights exploring the vibrancy that this now third-largest city in Japan exudes. This was during the two days leading up to Oshogatsu. Fukuoka had a lot of energy and we really loved our time there. From there, we went to Nagasaki -- a place we have wanted to visit for a very long time, and it was akin to venturing into a home away from home in another world. It was all and more than we expected. We knew that many places would be closed because of the Holiday, but we found much to do and see and explore and soak up. We spent New Years day with two longtime friends of Ria’s in the hills above Nagasaki with all of the food that symbolizes and makes New Year so special in Japan - osechi. It was an amazing afternoon and evening, eating and drinking sake with Ria’s old friends and my new ones. The food was amazing, the sake delicious and the company perfect. It was hard to say goodbye. For our last few days in Kyushu, we ventured into the countryside, which required me to drive for the first time in Japan. I’ve been there a few dozen times, but never had to drive, but I grew up around Detroit in Michigan, so I’ve done my share of driving -- it was just that everything is opposite. Once you get your brain to think opposite, you’re fine. At least it was for me. On our next to last day, we went to Arita in Saga Prefecture, which is famous for ceramics, especially porcelain with elaborate painting -- likely an influence from China and Korea as Nagasaki was the only port open to foreigners in the Edo Period and before. The town was empty. It was like walking on a movie set depicting Japan 100 years ago. We don’t want to give too much away on this post about this part of the trip, but we literally stumbled on a budding artist and great guy working in his closed shop who motioned us in. We spent the whole afternoon there. His name is Tsukasa Momota. We will talk more about our time with him and introduce his works in our next post. Stay tuned. His name is Tsukasa Momota. We will talk more about our time with him and introduce his works in our next post. On the Famous Road of Light at at Miyajidake Shrine in Fukuoka...Well-Known for the beautiful sunsets. New York’s Metropolitan Museum of Art (The Met) has a stunning exhibition of famed fashion designer Rei Kawakubo’s work. Of course, she is synonymous with Commes des Garcons, and The Met has put together a really intriguing exhibition that looks at opposites in her work. It blurs the lines of what we think opposite means and looks at what’s in between. It is the essence of what she has done since founding Commes de Garcons in 1969 -- embracing two Japanese principles: mu (emptiness) and its relation to ma (space). The concept of opposites blurring invokes the space in between. As always,we were really impressed by Kawakubo’s body of work as well as the great manner in which the exhibit was curated and designed. We’ve been to other shows in the Costume Institute at The Met that were stunning, but they were typically staged in dramatic setting with more direct lighting, to great effect. But Kawakubo’s work was portrayed entirely different. The staging was white with a matrix of overhead lighting from the ceiling and no spot-lighting on the displays. It emphasized the bold shapes of Kawakubo’s work, reflecting the colors and theme of the exhibit as well as her design ethos.. There are several concepts of “in-betweenness” portrayed in the exhibition and we could go into great detail about each, but I think the visuals tell the story. New York City and graffiti are synonymous, if not so much now, certainly in the latter part of the previous century. So, the back courtyard at Jane Lombard Gallery in NYC’s Chelsea neighborhood was an appropriate setting for Japanese-Italian artist Enrico Isamu Oyama to showcase his talents live. We liked watching him work organically in the outdoor setting framed on three sides by brick walls and on the fourth by the iconic Frank Gehry IAC building. Oyama was born in Tokyo to an Italian father and Japanese mother. The family took trips every summer to northern Italy, which provided Oyama with two key inspirations. The dichotomy of the fast pace of Tokyo life and the relaxed vibe of rural northern Italy gave him multiple perspectives of the world. The other defining moment for him was his discovery and immersion into “graffiti culture”, which was especially active in Italy at the dawn of the new millennium. Oyama explains how that inspiration influences his art. “In graffiti culture, a name, composed of stylized letters, represents writer’s alter ego”, he says. “I remove letter shapes, extract only the flowing line and repeat it to maximize its dynamism. By doing so, I create an abstract motif. Instead of having a new name for myself, I gave a name to the motif: Quick Turn Structure (QTS). Oyama, who now calls New York City home, has collaborated with such iconic Japanese brands as COMME des GARÇONS and Shu Uemura. 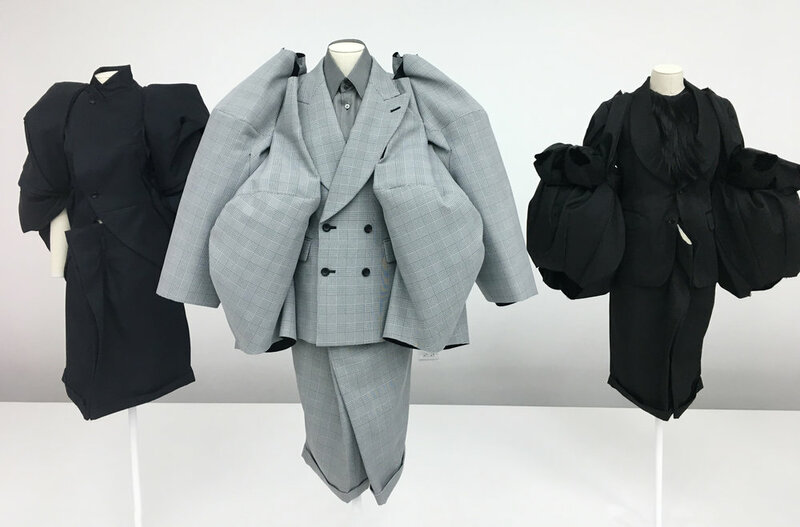 And speaking of COMME des GARÇONS, the Metropolitan Museum of Art here in NYC has just opened a comprehensive retrospective of Rei Kawakubo’s avant garde designs. We will be checking it out in a few days and will have much to show and say on here very soon. One of our favorite things always in New York is to visit art shows, and we met the new spring season this year with a very cool photography show held by AIPAD, the Association of International Photography Art Dealers. The show this year was big and impressive. The location had moved from Park Avenue Armory to Pier 94, which made room for 115 galleries from around the world as well as 30 book sellers/publishers. With the number of countries participating came a great variety of vintage to contemporary, classic to experimental with a vast array in terms of medium and techniques. Not surprising given the state of our current world, a great variety of the art displayed political messages. Some pieces, we don’t necessarily call photography, but related or derived. We were impressed by the potential of photography as art more than any of the shows we visited recently. And of course, we were drawn to talented Japanese artists works. Here are a few that caught our eyes! Particularly we had a great conversation with Ibasho from Antwerp, Belgium, which literally means “a place where you can be yourself.” They are collectors of Japanese prints turned dealers. We felt their love for Japanese photographers sensibilities and unique explorations. One of the artists they presented was Motohiro Takeda, who is fascinated by camera obscura and the idea of being inside the camera. One of his series titled “Another Sun” is a dramatic, large scale print of an inverted sun, which started as a result of the fortuitous accidental representation of the sun on a piece of photographic paper on the wall of his apartment. Here are some of the other artists with connections to Japan that we were also quite impressed by. By the way, this was one of the most instagrammed booth at the show. On our last day in Kansai, we sadly said goodbye to our new favorite neighborhood of Naramachi and our amazing hosts, Akie-san and Akira-san, at Kamunabi Guest House. We loved our stay there and the easy conversations and camaraderie we had in the front cafe over drinks after a day exploring Nara. But we were also excited to head out to visit Kiyooka Kodo, one of our original artist friends and the man known in some circles as “The Frying Pan Man”. We took the train to Shiga outside of Kyoto, and Kodo-san met us there. We took off on an yet another of our interesting rides up the hills and mountains of Japan where the roads are barely wide enough for one car, let alone two. It was like being in the backseat of a movie, while Ria and Kiyooka chatted in the front seat. I was amazed at the skill of his driving -- a stick shift, of course -- while calmly talking and pulling over to let delivery trucks pass by with what seemed like millimeters to spare, while I gazed at the ever-receding, but gorgeous countryside below. We’ve known Kodo-san since early in the Japan Suite days. We had just started presenting his creations when the Huffington Post picked up on the story. We remain surprised (and pleased) at the response from the article, so we were really geeked to go see him at his new studio in the hills of Shiga. We were not disappointed. The only regret was that we wished we could spend more time with him there -- but alas, we had a train to catch back to Tokyo. Kodo-san was a gracious host, full of knowledge, giving us free run of the place and describing all of the processes and different work that he is doing. He now has a much larger, industrial-size kiln at his new studio, and he is still experimenting and working with the nuances of the larger kilns. Here is a glimpse at what we saw that fine morning, which started in Nara and led us to Kodo-san in Shiga. Ikura san creates very large pieces as well. 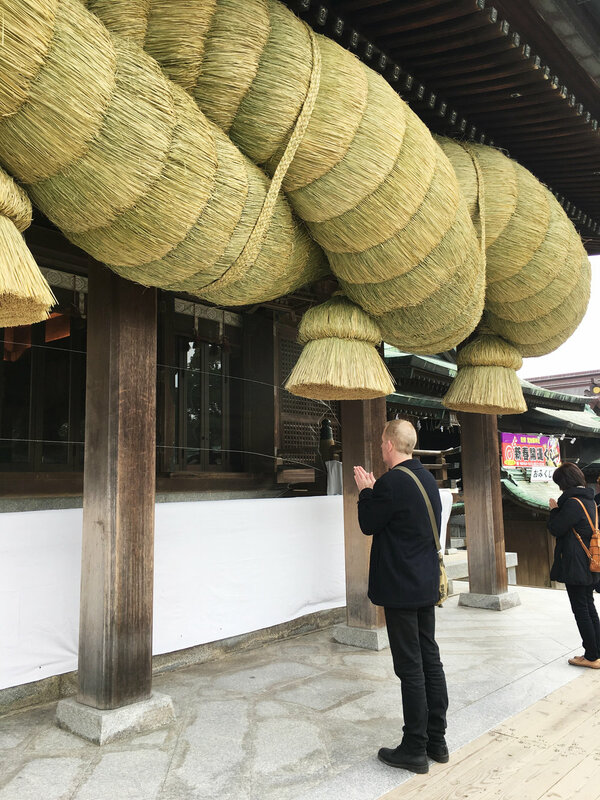 On our recent trip to Japan, we spent an amazing week in Kyoto and Nara, traversing the streets and alleys of the two famous old capital cities so rich with tradition and culture. We visited ancient shrines and temples, ate incredible food and enjoyed a few of the local beverages that go so well with them. While there, we also spent time visiting a few of our artist friends, including Kotaro Ikura who comes from a family tradition of creating beautiful ceramics. Ikura-san’s father is a famous ceramic artist, and he could have followed that path, but he has chosen to go in a new direction, following his creative instincts, and we love what he is doing. We visited his new studio in the hills outside of Nara at their vibrant peak of autumn’s colors so revered in Japan. His new studio is an old sake distillery full of original character and new touches Ikura-san has brought to the rustic space, which he has converted into a working space, showroom and living quarters for his family. It was quietly breathtaking inside and out. As he showed us around, Ikura-san pointed out the black coloring on the tan walls, which is caused by inhabitants of the previous owners -- the spores of the Koji cultures, vital to the making of sake. The past still lives and watches while the present continues and grows. We will be showcasing Ikura-san’s translucent works in the months to come, but we wanted to lift the curtain a bit to give a sneak peak, and yes, maybe a tease, at what’s to come. Ikura san's studio space used to be Sake brewery, so its Sake culture keeps changing the wall texture. Coming soon! We are happy to introduce beautifully understated ceramic pitchers by talented artist Ryota Aoki from Gifu, Japan. He is an artist who has made his mark in Japan, and is now beginning to make waves globally. March 3 marks the annual celebration of a more than one thousand year old Japanese tradition known as Hinamatsuri (雛祭り Hina-matsuri). This day is also called “Girl’s Day”, “Doll Festival”, and “Momo no Sekku”, which celebrates the blossoming of peach trees in early March. Peach blossoms are thought to ward off evil and bring good fortune to young girls. Dolls and peach blossoms are essential parts of Hinamatsuri. 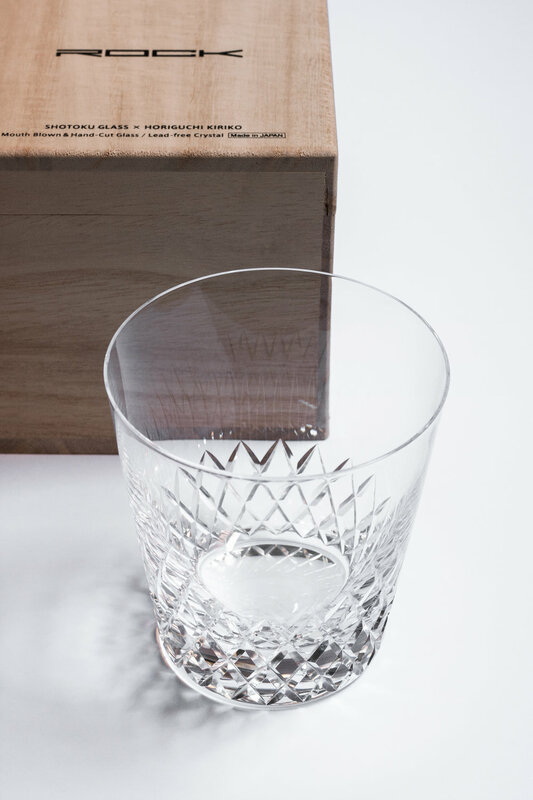 We now have gorgeous Kiriko Rock Glasses and additional Bamboo glasses by Horiguchi Kiriko. Please contact Japan Suite for details. We are preparing to introduce some beautiful ceramic works by Masako Niimi from Chiba, Japan. 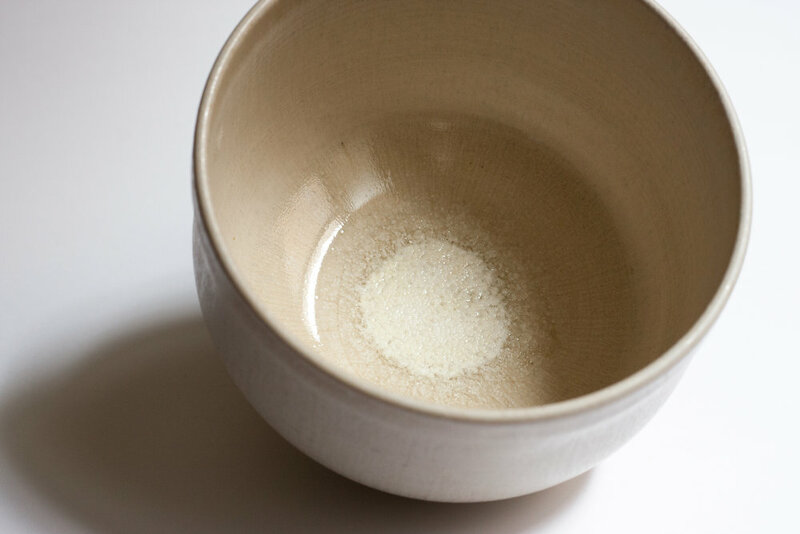 Niimi has been focusing on the crystallization of glaze, and we love the small universe in her tea bowls and sake cups. Please stay tuned! Warm wishes from Japan Suite during the very snowy day...! We had a good Matcha tea with Tea Bowl by Masako Niimi, and chrysanthemum plate by Maiko Miyaoka. We recently went back to Japan for an incredibly enjoyable and inspiring journey to Tokyo, Kyoto, Nara and Shiga. While there, we made some great new friends (which we will write more about in another post), visited many shrines and temples — and met with several artists we have featured on Japan-Suite already — or will be featuring very soon. On our first full day there, we headed to downtown Tokyo, which has a different vibe from the more well-known areas like Shibuya and Ginza. It has small family businesses that have been in business for generations. There, we paid a visit to Toru Horiguchi, who is an award-winning Edo Kiriko glass artist we have showcased here previously. He graciously showed us through his workshop, detailing how he works, and what his philosophies and aspirations are. Horiguchi's all white studio looks like a science lab. He wished to distance his new space away from his family business of 3 generations, so he can realize his own unorthodox creations. This new space that started from scratch, nothingness, was born. He is extremely committed to showcasing traditional Kiriko glass to a wider audience, an idea we fully agree with and support. Horiguchi-san recently returned from a successful trip to London and intends to be an ambassador for the Kiriko glass tradition. This time, we discussed the new products Japan Suite will feature in year 2017, please stay tuned! In this Holiday season, we want to give our heartfelt thanks for your interest and support this past year. We are looking forward to continuing to find and showcase the best Japanese crafts and artisans. Sending best wishes for a very Happy Holiday and a rewarding year ahead. The Buddha shown here represents the Amida Buddha who, while a monk, prayed for five aeons for human mortals, for so long that his hair grew to this length. This representation originated in the Song Dynasty in China and was imported to Japan during the Kamakura period nearly 1,000 years ago. We would like to share some of our experiences from Tokyo, Kyoto and Nara...!